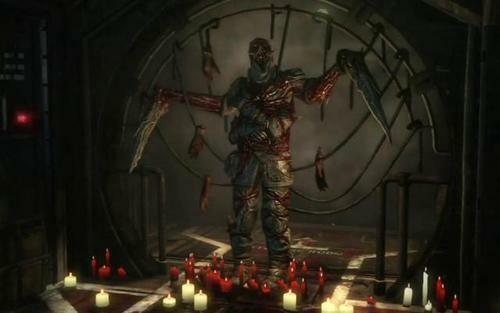 This review of Dead Space 3: Awakened will contain spoilers to the ending of Dead Space 3. I highly recommend you finish Dead Space 3 before playing the DLC or reading this review. 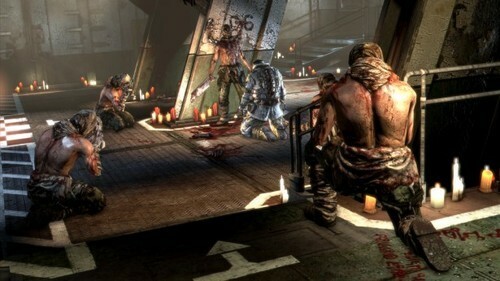 Dead Space 3: Awakened takes place right after the end of the main game. Isaac and Carver wake up and begin their journey to get off of Tau Volantis and back to earth. The overall tone of this DLC is a mix of goofy self-awareness and seriously twisted. It’s almost like they are poking fun of the ending of Dead Space 3 to an extent. The ending was so goofy and over the top. I mean, you destroyed a moon and it crashed onto Tau Volantis. Isaac and Carver have many various interactions questioning what they did and just how they survived. I was in the minority in liking the ending of Dead Space 3 but felt like they should have went more towards the goofy side of things. Awakened accomplishes just that and the ending to this DLC is quite ridiculous and had me laughing and in awe (which is good). Awakened calls back to the original Dead Space by building up some very tense moments and truly messing with your mind via hallucinations. The DLC goes to some pretty twisted places and it’s wonderful. I just wish more of this was present in the base game. There are more scares and more tension building moments in this DLC then in the whole base game of Dead Space 3. Some may say this isn’t saying much but almost the whole DLC is dripping with atmosphere and crazy happenings from beginning to end. This is awesome. Awakened can be played alone or with a partner via co-op. Either way you play, you will get a great experience. Speaking of Co-Op, the game really builds on Carver as a character. I did not care for him in the main game but found myself really enjoying his narrative here. This DLC makes him a very likable character. The DLC has some potholes though. For one, it is extremely short. If you do no exploring it will take just under 2 hours to complete and some may be able to cut it down to just over an hour. Just as you are getting into it, it ends. The DLC obviously carries over all your weapons and upgrades which can make this extremely easy. Even on the harder difficulties, Awakened is not hard at all. Some may have issues in one particular situation on hard or above but that is about it. It also uses mostly reused environments form the base game and back-tracking is a major theme, however; each environment does have a slightly different tone to it. It’s a case of deja-vu but it’s not a complete copy and paste job. At the end of the day, Awakened is a great addition to a good game. It has a bit of a silly tone but also goes to some creepy places. I only wish that what was here was used in the main game. This 1-2 hour DLC almost out-does the 10-15 hours main game. It reminded me a lot of first Dead Space in many ways and that is a great thing. It is way too short and they reuse a lot of environments but if you have anything invested in this series, you owe it to yourself to play this DLC. +/- Where was this Stuff in the Main Game? This could be a bit too steep. The DLC is very short and besides going through with a buddy, there isn’t a whole lot to do. If you are a series fan, I do believe you should pick this up even at $10. For more gaming news, follow Galactic Gaming News on Tumblr and Facebook.